Occurrence: Soy products are widely used in the food industry, in particular as texturizer, emulsifier and protein filler. 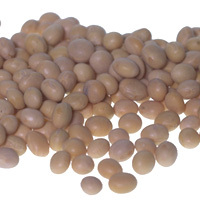 Soybean lecithin is used as an emulsifier (E322). Soybeans are also a major source of refined oil but this probably does not contain large quantities of allergenic proteins. More information.. Although there are many reported cases of food allergy to soybean, the true prevalence is difficult to determine because sera from individuals with allergy to other legumes may have IgE to soya but only a few of these individuals actually react after consuming soybean products. The symptoms of allergic individuals after eating soybean range from relatively mild symptoms, such as the oral allergy syndrome, to severe symptoms requiring emergency treatment such as anaphylaxis or asthma. There is one report of anaphylaxis occurring only when exercise followed eating soybean (exercise induced anaphylaxis). There are significant differences in the reported reactions to the molecular allergens of soybean between different regions of the world with different allergens being involved in Japan compared to North America or Europe. The basis of these differences is not understood but may relate to differences in food consumption or to factors such as allergy to tree pollens such as birch. Soya is considered one of the most important food allergens. Thus soybeans and products thereof are listed in annex IIIa of the EU directive on labelling of foods. It is also listed as a major food allergen by the FDA (USA) labelling regulations. Soybean is one of the most difficult foods for the allergic consumer to avoid as it is used in many processed foods. It is thus the classic "hidden allergen". Soy belongs to the legume family. The seeds or soybeans are the edible part of the plant. They are particularly rich in proteins of high biological value and are therefore an important nutrient. Their protein content is about 35% of dry seeds. Allergenicity of soybean proteins has been documented since the eighties. Soybean exposure is widespread in Asia and the USA but its consumption has increased in Europe during the last years, especially in vegetarian cuisine. Allergy to soy is caused by proteins in the seeds, in particular by some of the so-called storage proteins. Storage proteins are abundant in seeds and serve as “source material” during the growth of a new plant. At least two storage proteins have been identified as allergens, vicilin and legumin. Storage proteins usually are stable heat-resistant proteins. Heat treatment leaves these allergens largely intact. A non-storage protein which is related to the major allergen for birch pollen hay fever (see “Link to hay fever”) has recently been identified as an allergen in soybean. Soy may induce all kind of allergic symptoms ranging from itching and swelling of mouth and throat, gastrointestinal reactions (nausea, cramps and diarrhoea), respiratory symptoms (hay fever and asthma), skin reactions (hives also referred to as nettle rash or urticaria) up to severe life-threatening reactions including shortness of breath and drop of blood pressure (anaphylactic shock). Although no food allergy, it is worth mentioning that inhalation of soy powder and flour by work-related exposure may cause respiratory symptoms such as rhinitis and asthma. Patients, however, developing symptoms after inhalation usually do tolerate ingested soy. Soybean hull dust was responsible of asthma epidemics that occurred between 1981 and 1987 in Spain after unloading soybean seeds in the harbours of Barcelona, Cartagena and Tarragona but also in New Orleans in the 1950s and 1960s. As soy is a legume, there has been real concern that reactivity to other legumes notably peanut would be common in soy allergic subjects. This concern is based on the expectation that similar proteins in related foods will also cause reactions. Such reactions are referred to as cross-reactions. Indeed, storage proteins in e.g. peanut and pea are very similar to their counterparts in soy. In contrast to some other well known food allergies, cross-reactive allergy appears to be rare for legumes. Most soy allergic individuals are tolerant of peanut, perhaps with exception of patient with birch pollen allergy (see below). This does not mean that absolutely no patients exist that demonstrate cross-reactive allergy to multiple legumes, but it is rare. Patients with hay fever in early spring caused by birch pollen frequently have food allergies. The most important foods that are implicated in this phenomenon are fruits like apple and peach and tree nuts like hazelnut. The cause of this marriage between respiratory allergy and food allergy is that these fruits and nuts contain an allergen that is closely related to the major birch pollen allergen. Allergic reactions based on such similarities are called cross reactions. Recently, it has been demonstrated that soy also contains such a birch pollen related allergen. Allergic reactions to a dietary product containing a soy protein isolate have recently been described in Central Europe, i.e. Germany and Switzerland. Most of the patients experiencing allergic reactions to the soy protein isolate were allergic to birch pollen. Interviews among birch pollen allergic subjects in a birch rich area revealed that 10% of highly sensitised birch pollen allergic patients suffer from a concomitant food allergy to soybean. The prevalence of soy allergy has not been specifically studied so far. To date, food allergy to soy has been described mainly in young children with eczema (atopic dermatitis), often outgrowing their soy allergy after 1-2 years of dietary elimination. In children with eczema and suspected food allergy, 1 to 4% of them react on exposure to soy with allergic symptoms. Allergic reactions to soy-derived foods in adults, however, are less frequent. Thresholds for allergic reactions to soy have not been established accurately. In Sweden, soy was reported to be responsible for 6 out of 12 severe or life-threatening allergic reactions caused by foods during 1993-1996 after intake of an estimated amount of 1-10 g of soy. Threshold levels can differ drastically between individuals. Unpublished results from Switzerland suggest that first subjective symptoms may start already at a dose of 8 mg. Diagnosis of soy allergy starts with recording a clear clinical history to establish a link between allergic reactions and soy. Since soy is frequently used as an “invisible” ingredient in a compound food, this is not always so straight forward. Skin prick tests and measurement of specific IgE levels are used to support a history-based suspicion of soy allergy. Soy shares both similar allergens with peanut and other legumes and pollen. A positive skin test or serum IgE test can easily be based on cross-reactivity to peanut, other legumes or even birch pollen. To distinguish whether such cross reactions have clinical relevance, the only definitive method is a so-called double-blind placebo-controlled challenge. In this procedure, increasing doses of soy are administered to the patient as well as placebo meals not containing soy. Both patient and doctor are unaware of the meals with and without soy. Effective blinding of the taste of soy is essential for such challenge procedures. Where do I find soy? Soy beans are usually consumed as processed food although whole beans can also be eaten. Soy products are nowadays widely used in the food industry, in particular as texturizer, emulsifier and protein filler. In these cases soy is used as oil, flour or concentrate. Soy flour is often added to bread, pastry and cookies. Soy also ends up in soy milk, soy drinks and soy flakes. Soy curd or tofu is a common ingredient in Asian cuisine and is the basis for fermented soybean products such as miso, okara, soy sauce, or tempeh. Moreover, soy is used for the production of textured vegetable protein (TVP) which is consumed as a meat substitute. Since soy is a good and cheap source of protein and it may be part of a wide variety of processed foods such as meat products, sausages, chocolate, ice cream and breakfast cereals. It is introduced into the diet early in life as infant formula or infant meals. Soybean lecithin is used as an emulsifier (E322) in processed foods but also as an ingredient in pharmaceuticals and cosmetics. Furthermore, it is ingested as a health supplement due to its predicted effect on reduction of the cholesterol level. It is derived from the oil fraction, but it may contain allergenic soy proteins at low level. Soy lecithin is mainly used as a food additive in chocolate, bakery goods, spices, ice cream. Commercial soy lecithin preparations are not labelled as containing soy proteins, thus they may represent a source of hidden allergens. Soy is used in many non-food products including body lotions and crèmes, soaps, pet food, adhesives and lubricants. Soy lecithin is used in pharmaceuticals and cosmetics. For the treatment of food allergy, at present avoidance is the only solution. Since soybean is an “invisible” ingredient in a broad range of food products, avoidance is difficult. Fortunately, according to recent new legislation (EU Labelling Directive 2003/89/EG and list of Codex Alimentarius Commission on mandatory labelling of pre-packaged food) all products containing soy-derived ingredients should be labelled as such. Other Information: Soybeans and products thereof are listed in annex IIIa of the EU directive on labelling of foods. There have been more than 20 studies describing allergy to soybean (Besler et al. 2000 ). In general individuals report cutaneous, gastrointestinal and respiratory symptoms and some studies report specifically oral allergy syndrome (Kleine-Tebbe et al. 2002 ). Symptoms can be severe, requiring emergency treatment (Kleine-Tebbe et al. 2002 ) and there is one report of exercise induced anaphylaxis to soy (Taramarcaz et al. 2001 ). The types of symptom reported by selected representative studies are summarised below. 1. Sampson & Ho (1997)  reported cutaneous (68%), gastrointestinal (77%) and respiratory (23%) symptoms in 31 soybean-allergic children. 2. Sampson (2001)  similarly reported cutaneous (67%), gastrointestinal (62%) and respiratory (24%) symptoms in 21 soybean-allergic children. 3. Niggemann et al. (1999)  reported cutaneous (58%), gastrointestinal (14%) and both cutaneous and gastrointestinal symptoms (28%) in 7 soybean-allergic children. 4. Kleine-Tebbe et al. (2002)  reported on symptoms from 20 patients eating a soy containing food supplement. 17/20 experienced facial swelling, 14/20 oral allergy syndrome, 11/20 throat tightness and/or swallowing discomfort, 6/20 dyspnea (chest tightness, wheezing), 6/20 hives, urticaria, 5/20 drowsiness and/or vascular dysregulation, 4/20 gastrointestinal discomfort and/or vomiting, 2/20 nasal secretion and/or nasal congestion. 13 patients required emergency treatment. 5. Mittag et al. (2004)  described 22 patients with oral allergy symptoms. 12 had additional symptoms: 5 had urticaria, one angioedema, one blistering of the mouth, 3 tightness of throat or chest and one each with dysnpea or oedema of the larynx, 3 experienced nausea, 1 diarrhoea, and 2 showed a fall of blood pressure. The positive control was histamine (10mg/ml). Several criteria were compared with the positive is mean diameter greater than 3 mm rule. The definition of negative used was the mean diameter or the surface area was less than the upper 95% confidence interval of subjects with negative DBPCFC (Eigenmann and Sampson, 1998 ). Gu et al. (2001)  and Mittag et al. (2004)  defined positive as a wheal of at least 3 mm diameter. Eigenmann and Sampson (1998)  tested 51 patients by SPT with soy extract (DBPCFC subsequently found 25 positive and 26 negative). Gu et al. (2001)  tested 6 soy-sensitive patients and 2 nonsensitive individuals. Mittag et al. (2004)  tested 17 soy allergic patients. Eigenmann & Sampson (1998)  conclude that skin prick tests are a useful procedure for evaluating clinical reactivity to egg, milk, peanut and wheat, but not to soy. For soy, 13/26 negative DBPCFC were SPT positive and 9/25 positive DBPCFC were SPT negative. Gu et al. (2001)  report that all 6 soy sensitive patients gave positive SPT to soy extract and 2 nonsensitive indivuals were SPT negative. Mittag et al. (2004)  reported that 13/17 soy allergic patients gave clear positive SPTs and 2 gave borderline positive SPTs. Food/Type of allergen:Commercial extract (Sampson 2001 ). Mittag et al. (2004)  also used purified Gly m 4. Earlier articles generally used RAST. Mittag et al. (2004)  used sera from 22 soy allergic patients and from 94 birch allergic patients (9 of whom reported symptoms with soy). 16 were DBPCFC positive, 1 had suffered anaphylaxis and 5 declined the challenge. Sampson (2001)  used sera from 100 patients of whom 25 were judged soy allergic, 21 by challenge and 4 by clinical history and IgE level. Gu et al. (2001)  used sera from 6 soy-sensitive individuals and 2 soy-insensitive individuals. Awazuhara et al. 1997  and Awazuhara et al. 1998  used sera from 30 soy-allergic patients of whom 7 were positive to oral challenge. Eigenmann et al. (1996)  used sera from 5 peanut allergic patients. Ogawa et al. (1991) , Ogawa et al. (1993)  and Ogawa et al. (1995)  used sera from 69 patients with atopic dermatitis. Herian et al. (1990)  used sera from 7 patients allergic to soybean of whom 6 were allergic to other legumes (4 to peanut). Pedersen & Djurtoft (1989)  used sera from 10 atopic patients with a history of reactions to soya (and some to other legumes) and a positive RAST to soy extract. Mittag et al. (2004)  found that 10/22 soy allergic patients gave a positive CAP test with a commercial extract (0.35 - 5.05 kU/l) but 21/22 were positive with purified Gly m 4 (0.72->100 kU/l). All 22 showed positive reaction to Bet v 1 (only 4 to Bet v 2 and 1 to Bet v 6). 67/94 birch allergic patients showed specific IgE against Gly m 4. Birch pollen significantly inhibited IgE binding to soy protein isolate by EAST inhibition in all tested sera, with a minimum of 45% in one patient and maximum inhibitions of more than 80% in 9 of 11 patients. The maximum inhibition of IgE binding by rGly m 4 ranged between 36% and 100%, with 9 of 11 sera showing at least 60% inhibition. CAP IgE of 65 kUA/L confidently predicted allergy to soy, and above 30 kUA/L suggested soy allergy (Sampson 2001 ). Gu et al. (2001)  report that 6 sera were positive for soy specific IgE (0.79-54.1 kU/l) and the two sera from nonsensitive individuals were negative (>0.1 kU/l). Pedersen & Djurtoft (1989)  reported that IgE from all the 10 sera bound subunits of glycinin and 9/10 bound native glycinin by ELISA. Most sera bound the subunits more strongly. Besler et al. 2000 ) review 22 EAST or immunoblotting studies and details of only some recent studies are described below. Mittag et al. (2004)  used 1D SDS-PAGE with 15% separation gels and 5% stacking gels. Samples were reduced by heating with 1,4-dithiothreitol and loaded onto the gel at a concentration of 1 µg/cm for rGly m 4 and rGly m 3 and 30 µg/cm for soy isolate extract, respectively. Gu et al. (2001)  used 1D SDS-PAGE with a 10%-20% linear gradient separating gel (BioRad) with samples that had been heated to 95° C for 3 minutes with 2% SDS and 100 mM 2-mercaptoethanol. Rihs et al. (1999)  used 1D SDS-PAGE of recombinant rGly m 3 (as a fusion protein and after cleavage) or of soybean extract on 10% NuPAGE Bis-TRIS gels (NOVEX) under reducing conditions. Mittag et al. (2004)  transferred proteins onto 0.2-µm pore-sized nitrocellulose membranes by means of semidry blotting. Remaining binding sites were blocked twice by means of incubation with 0.3% (v/v) Tween 20 in Tris-buffered saline (50 mmol/L Tris/HCl and 150 mmol/L NaCl, pH 7.4). The nitrocellulose strips were incubated overnight with 130 µL of patient serum diluted to 1 mL with incubation buffer, Tris-buffered saline containing 0.05% (v/v) Tween 20 and 0.1% (w/v) BSA. Immunodetection followed standard procedures. Gu et al. (2001)  transferred proteins onto polyvinylidene difluoride membranes (Millipore) by using a semidry apparatus (BioRad) at temperature for 2 h. at 0.8 mA/cm2. The membranes were blocked overnight with 10 mM Tris/HCl, pH 8.0, 150 mM NaCl, 0.3% (v/v) Tween 20, 1% w/v BSA and 3 mM NaN3, then incubated with human sera (diluted 1:20 (v/v) in blocking buffer). The membranes were washed with 10 mM Tris/HCl, pH 8.0, 150 mM NaCl, 0.3% (v/v) Tween 20 and 3 mM NaN3 then incubated with goat anti-human IgE (diluted 1:20,000 (v/v) in blocking buffer) for 12 h. at 4°C. After 3 further washes, Amersham Pharmacia's chemiluminescent substrate solution (0.1 ml/cm2) for 5 min. at room temperature revealed IgE binding. Rihs et al. (1999)  transferred proteins onto polyvinylidene difluoride membranes (Millipore) by using a semidry system (16 × 16 cm) of Roth (Karlsruhe, Germany), with a discontinuous buffer system at 0.8 mA/cm2 membrane for 1 hour at room temperature. After blocking with a solution consisting of 1% (w/v) BSA and 1% (w/v) polyvinylpyrrolidone (Sigma) in Tris-buffered saline, TBS (50 mM Tris/HCl, pH 7.4, 150 mM NaCl containing 5 mM NaN3and 1 mM EDTA) and washing with TBS, membranes were cut into individual 4-mm wide strips. The strips were incubated individually with 800-µL serum samples diluted 1:10 in TBST-BSA (2% BSA dissolved in TBS containing 0.05% (v/v) Tween 20) for 18 hours at 4° C. The binding of specific IgE antibodies to the proteins was detected with alkaline phosphatase–conjugated anti-human IgE antibodies (Sigma) diluted 1:2000 (v/v) in TBST-BSA for 2 hours at room temperature, and bands were visualized with a substrate solution containing 0.4 mM 5-bromo-4-chloro-3-indolyl phosphate disodium salt and 0.37 mmol/L p-nitro blue tetrazolium chloride in 0.1 M NaHCO3 buffer, containing 10 mM MgCl2 (pH 9.6). Mittag et al. (2004)  detected IgE binding to rGly m 4 in 19/22 patients. rGly m 3 bound in 6 patients, including 2 patients without IgE binding to rGly m 4 in immunoblots. Fourteen patients showed IgE binding to other soy proteins in the range of 8 to 10, 18, 20, 35, and 50 kDa. Gu et al. (2001)  detected IgE binding to proteins at 7, 12, 20, 39 and 57 kDa from soy lecithin. The bands at 12, 20 and 39 kDa were identified by N-terminal sequencing. The 39 Kda protein was only known from incomplete Soybean EST sequences such as gi|46492876, which are distantly related to proteins of unknown function from Arabidosis, including a glycosylphosphatidylinositol-anchored protein, P59833. The 20 kDa protein was the Kunitz trypsin inhibitor and the 12 kDa was a 2S albumin. Rihs et al. (1999)  report that after preincubation of sera with 50 µg of MBP-rGly m 3, a significant inhibition of IgE binding to a double band of the blotted soybean extract in the area of 14 kDa could be observed in all 4 serum samples tested, whereas the other IgE-binding bands were not affected. Awazuhara et al. 1998  reported that IgE antibodies in the sera from 15 out of the 30 patients reacted to the proteins in the soy lecithin by immunoblotting, whereas the IgE antibodies in only three out of 22 control sera reacted to them. 40% (12/30) of soy sensitive and 4.5% (1/22) of controls reacted to a 31 kDa protein. Müller et al. (1998)  reported that IgE bound to the proteins in soy lecithin between 14 kDa and 94 kDa. The 39 kDa heat-stable allergen was identified using a monoclonal antibody as a subunit of glycinin in this study. Awazuhara et al. 1997  reported that IgE bound most frequently to 5 allergens. These were 20 and 58 kDa in the whey fraction (i.e. soluble after aqueous extract was adjusted to pH 4.5) and 26, 31 and 78 kDa in the globulin fraction. Other allergens were detected at 28, 41, 75 and 91 kDa in the whey fraction and 40, 47, 56, 64, 72 and 91 kDa in the globulin fraction. The 47 kDa allergen actually bound weakly to 50% of sera. The authors suggest that the 31 kDa allergen might be Gly m Bd30K and the 78 kDa allergen might be beta-conglycinin. Eigenmann et al. (1996)  reported IgE binding soy fractions at 46, 40, 33, 19, and 9 kDa in sera from patients allergic to peanut. Two patients allergic to peanut and soy reacted to protein fractions of 45 and 17 kDa while three soy tolerant patients bound fractions at 45 kDa, and to a lesser degree, at 21 kDa. Ogawa et al. (1991)  reported that at least 16 soybean proteins with Mr from approximately 70 kDa to 14 kDa were recognized by the sera of the patients: 10 major IgE-binding components were found in the 7S-globulin fraction, and the others mainly in the 2S-globulin and whey fractions. The IgE antibodies of the patients bound most strongly and frequently to a 30 kDa protein in the 7S-globulin fraction, which appeared to be the major allergen in soybeans and was named as Gly m Bd30K. The 11S fractions did not bind IgE strongly from the sera of these atopic dermatitis patients. Herian et al. (1990)  reported that there were different patterns of IgE reactivity between sera from patients sensitised to soybeans alone which binds to protein(s) at 20 kDa and sera from those reactive to both soybeans and peanuts which binds to proteins of 50 to 60 kDa. The wide variation in the above results may be partly due to differences between US, often peanut allergic patients; Japanese, sensitised to soy; and Europeans sensitised via birch pollen. Niggemann et al. (1999) , Sicherer et al. (2000) , Sampson & Ho (1997)  and Sampson (2001)  used similar methods. A maximum of 8 to 10 g dry weight of dehydrated food, or equivalent liquid form, was camouflaged in a food product and given over a 90-minute period. Six doses of food were given in progressively larger quantities such as 0.5 g, 1 g, 3 doses of 2 g, and a final dose of 2.5 g. Patients received 2 challenges per day, 1 placebo and 1 test food. Mittag et al. (2004)  gave two different drinks, identical in color, texture, and taste. The active drink contained 15 g of soy protein isolate (soy protein content, 90%; Protein technologies, Du Pont & Dow, Bad Homburg, Germany), 150 mL of milk, 50 mL of cream, 9 g of Sinlac (containing rice flour, and carob flour; Nestle, Vevey, Switzerland), 25 g of sugar, 7 g of cocoa, and 6 drops of banana flavor (Givaudan, Duebendorf, Switzerland). The soy protein isolate is a mildly heated soy product that was produced through extraction of defatted soybean flakes at pH 8 to 8.5, neutralization, and spray drying. The composition of the placebo drink was identical but did not contain soy isolate. Apart from soy, all ingredients were known to be tolerated by each patient. Blind:Niggemann et al. (1999) , Palm et al. (1999) , Sicherer et al. (2000) , Sampson & Ho (1997) , Sampson (2001)  and Mittag et al. (2004)  used double blind challenge. Awazuhara et al. 1998  used open challenge. 16 patients (Mittag et al. 2004) . 45 patients with 7 positive (Niggemann et al. 1999) . 53 patients from 1980-1993 gave a positive challenge to soy (Sicherer et al., 2000 ). 31 patients (Sampson & Ho 1997)  gave a positive challenge to soy. 21 patients (Sampson (2001)  gave a positive challenge to soy. Palm et al. (1999)  challenged a single 4 year old patient. Awazuhara et al. 1998  report that 7 patients were positive on challenge. Sicherer et al. (2000)  report that 28% of soy challenge positive patients reacted to the first dose (0.4g) but 19% reacted only to the last dose or to open challenge. However, patients with severe symptoms were excluded from challenge. After 1992, strong IgE reaction also excluded some patients from challenge. Mittag et al. (2004)  used a 2-step spit (local mucosal challenge) and swallow procedure. For the local mucosal challenge, 4 doses containing 0.3, 0.5, 1, and 2 g of soy protein, respectively, were administered to the patients, whereas for the systemic challenge, 4 doses containing 0.5, 1, 2, and 4 g of soy protein, respectively, were used. Mittag et al. (2004)  report that all 16 patients showed oral allergy syndrome symptoms, sometimes with rhinitis or flush, and 4 of them also had more severe symptoms of tighness of the throat or chest. None of the patients described by Sicherer et al. (2000)  suffered severe symptoms from soy in contrast to patients challenged by egg, milk, fish and peanut. Eigenmann et al. (1996)  showed that there is extensive binding of anti-peanut IgE to soy proteins and vice versa. However, the affinity is reduced. After removal of IgE able to bind peanut, strong binding was detected to soy proteins at 21 kDa and 46 kDa. Cases of anaphylaxis, 4 of them fatal, in peanut allergic individuals after eating soy have been reported (Foucard & Malmheden Yman, 1999 ). However, Sicherer et al. (2000)  argue that the food may have been contaminated by peanut and that peanut allergics rarely react clinically to soy. Because soy milk has been extensively used as a substitute for cow's milk, adverse reactions caused by soybean formulas are seen in 14-35% of cow's milk allergic infants (Besler et al. 2000 ). Zeiger et al. (1999)  showed that 12-13 of 95 cows milk allergic children were allergic to soy. Soy is also the classic hidden allergen because it is used in so many foods and is one of the hardest allergens to avoid (Vidal et al. 1997 ). Soy oil, cold-pressed and deodorized, has been shown to contain allergens of 28 kDa and 56 kDa by Errahali et al. (2002) . However, the allergenicity of the oil is probably low (Bush et al. 1985 ). Paschke et al. (2001)  also report no IgE binding to refined oils and weak allergen bands with molecular masses of approximately 53 and 58 kDa in the non-refined oils. Gu et al. (2001)  review reports on the concentration of protein in soy lecithin, which vary over more than 1000 fold and suggest that this is partly due to the methods used. Paschke et al. (2001)  report protein contents of 33.2 and 35.3 µg/kg in refined soy oils determined with the method by Bradford and 3-fold higher in non-refined oils. Protein contents between 2303 and 2689 mg/kg were detectable in soy lecithins. Awazuhara et al. 1998  also reported that soy lecithin contains far more protein than soy oil (2.8 mg and 1.4 µg per 100 g of sample) and that IgE antibodies in the sera from 15 out of the 30 patients reacted to the proteins in the soy lecithin by immunoblotting, whereas the IgE antibodies in only three out of 22 control sera reacted to them. However, almost all of the patients' sera that reacted to soy lecithin proteins reacted far more strongly to the proteins from globulin and whey fractions. Palm et al. (1999)  describe a 4 year old boy with sensitivity to soy lecithin established by DBPCFC and suggest that such sensitivity explains the failure of some soy elimination diets. Gu et al. (2001)  reported that soy lecithin contained IgE binding to bands corresponding to 7, 12, 20, 39 and 57 kDa. Gly m 1 or soybean hydrophobic protein is a potent aeroallergen (Gonzalez et al. 1992)  but has not been reported as a food allergen because is produced in soybean pod endocarp (Gijzen et al. 1999)  which is not eaten. Besler M., Helm R.M., Ogawa T.
Eigenmann PA, Burks AW, Bannon GA, Sampson HA. Identification of unique peanut and soy allergens in sera adsorbed with cross-reacting antibodies. Sicherer SH, Sampson HA, Burks AW. Peanut and soy allergy: a clinical and therapeutic dilemma. Foucard T, Malmheden Yman I. A study on severe food reactions in Sweden--is soy protein an underestimated cause of food anaphylaxis? Errahali Y, Morisset M, Moneret-Vautrin DA, Kanny G, Metche M, Nicolas JP, Fremont S.
Gu X, Beardslee T, Zeece M, Sarath G, Markwell J. Identification of IgE-binding proteins in soy lecithin. Taramarcaz P, Hauser C, Eigenmann PA.
Zeiger RS, Sampson HA, Bock SA, Burks AW Jr, Harden K, Noone S, Martin D, Leung S, Wilson G.
Soy allergy in infants and children with IgE-associated cow's milk allergy. Interpreting skin prick tests in the evaluation of food allergy in children. Sicherer SH, Morrow EH, Sampson HA. Dose-response in double-blind, placebo-controlled oral food challenges in children with atopic dermatitis. Kleine-Tebbe J, Vogel L, Crowell DN, Haustein UF, Vieths S.
Severe oral allergy syndrome and anaphylactic reactions caused by a Bet v 1- related PR-10 protein in soybean, SAM22. Identification of peanut agglutinin and soyabean trypsin inhibitor as minor legume allergens. Mittag D, Vieths S, Vogel L, Becker WM, Rihs HP, Helbling A, Wuthrich B, Ballmer-Weber BK. Soybean allergy in patients allergic to birch pollen: clinical investigation and molecular characterization of allergens. IgE binding of the recombinant allergen soybean profilin (rGly m 3) is mediated by conformational epitopes. Gijzen M, Miller SS, Kuflu K, Buzzell RI, Miki BL. Hydrophobic protein synthesized in the pod endocarp adheres to the seed surface. Gonzalez R, Polo F, Zapatero L, Caravaca F, Carreira J.
Purification and characterization of major inhalant allergens from soybean hulls. Bush RK, Taylor SL, Nordlee JA, Busse WW. Vidal C, Perez-Carral C, Chomon B.
Unsuspected sources of soybean exposure. Awazuhara H, Kawai H, Baba M, Matsui T, Komiyama A.
Antigenicity of the proteins in soy lecithin and soy oil in soybean allergy. Palm M, Moneret-Vautrin DA, Kanny G, Denery-Papini S, Fremont S.
Food allergy to egg and soy lecithins. Awazuhara H, Kawai H, Maruchi N.
Major allergens in soybean and clinical significance of IgG4 antibodies investigated by IgE- and IgG4-immunoblotting with sera from soybean-sensitive patients. Commercial soybean lecithins: a source of hidden allergens? Investigation of the IgE-binding proteins in soybeans by immunoblotting with the sera of the soybean-sensitive patients with atopic dermatitis. Herian AM, Taylor SL, Bush RK. Identification of soybean allergens by immunoblotting with sera from soy-allergic adults. Identification of the soyabean allergenic proteins, Gly m Bd 30K , with the soybean seed 34kDa oil-body-associated protein. Ogawa T, Bando N, Tsuji H, Nishikawa K, Kitamura K.
Alpha-subunit of beta-conglycinin, an allergenic protein recognized by IgE antibodies of soybean-sensitive patients with atopic dermatitis. Paschke A, Zunker K, Wigotzki M, Steinhart H.
Determination of the IgE-binding activity of soy lecithin and refined and non-refined soybean oils. Process, chemical, enzymatic:The disulphide cross-linked 2S albumins are normally stable to heat and proteolysis. Lin et al. (2004)  show that recombinant proteins retain their secondary structure in 6M guanidinium hydrocloride and also when heated up to 97°C. Allergen properties & biological function:2S seed storage albumin. (Lin et al. 2004 ) reported the purification of both native soybean 2S albumin from soybean and recombinant soybean albumin, rAL, from Pichia pastoris. Soybean seeds were ground into a fine powder, defatted by extraction with hexane (1:4 w/v) and dried in vacuum. Soluble proteins were extracted from 100 g of defatted soybean powder with 400 ml albumin extraction buffer (10% v/v DMSO, 0.5% v/v butan-1-ol, 100 mM KCl, 83 mM sodium acetate, pH 5.2). Following centrifugation at 6000×g for 15 min, the supernatant was dialyzed against 0.5% v/v butan-1-ol, 100 mM KCl, 83 mM sodium acetate buffer, pH 5.2, lyophilised, and dissolved in distilled water (250 mg/ml). Insoluble proteins were removed by centrifugation at 6000×g for 15 min and the supernatant was loaded onto a Sephacryl S-100 column (2 cm×55 cm, Pharmacia) run (0.5 ml/min) with the albumin extraction buffer. Fractions containing the 2S albumins (~14 kDa) were dialyzed against distilled water, lyophilised, dissolved in 20 mM Tris/HCl, pH 8.5 (20 mg/ml) and further fractionated by ion-exchange chromatography using the BioCAD perfusion chromatography system equipped with a POROS 20 HQ (4.6 mm×10 cm) column, eluted with a gradient of NaCl (0\Z750 mM) in 20 mM Tris/HCl, pH 8.5 at a flow rate of 5 ml/min. The peak, which was eluted at 360 mM NaCl and contained the 2S albumin, was then further purified by reversed-phase HPLC on a C18 column (25 cm×10 mm, Phenomenex), in 0.07% (v/v) trifluoroacetic acid (TFA) in water and eluted with a linear gradient of 0\Z50%, 100% acetonitrile in 0.05% (v/v) TFA at a flow rate of 2.5 ml/min for 40 min and the purified 2S albumin eluted after 25 min. The eluted peak was lyophilised and stored at −20 °C. The supernatant secreted by P. pastoris was filtered through a 0.45µm filter, then concentrated and salt eliminated by buffer exchange with 10 mM citric acid buffer (pH 4.3) using a Viva Flow 200 (5000 MWCO) (Vivascience, Lincoln, UK). The concentrate was loaded onto three in-series 5 ml Hi-Trap heparin columns (Amersham-Pharmacia, Uppsala, Sweden) previously equilibrated with 10 mM citric acid buffer (pH 4.3) and eluted using a step gradient of NaCl (0.2\Z1.0 M) at a flow rate of 3 ml/min. The column effluent was monitored at 280 nm. The collected fractions containing rAL were dialyzed against distilled water for 24 h at 4 °C. The rAL was then further purified by reversed-phase HPLC on a C8 column (10 cm×10 mm, Varian, Walnut Creek, CA, USA), in 0.1% (v/v) formic acid in water and eluted with a linear gradient of 0\Z100% (v/v) acetonitrile in 0.1% (v/v) formic acid at a flow rate of 2.5 ml/min for 25 min. The eluted peak was lyophilised and stored at −20 °C. The sequences P19594 and AAD00178.1 are identical. A further sequence AAD09630 is related but distinct. Both albumins were purified by Lin et al. (2004) . Gu et al. (2000) ) reported that the 2S albumin was strongly bound at 12 kDa by IgE binding from a single sera and weakly by IgE from another sera. The 14 kDa minor allergen reported by Ogawa et al. (1991)  and Herian et al. (1990)  may also be the 2S albumin. The reported masses are high as the proteins were reduced before electrophoresis. Lin J, Fido R, Shewry P, Archer DB, Alcocer MJ. The expression and processing of two recombinant 2S albumins from soybean (Glycine max) in the yeast Pichia pastoris. Allergen epitopes:On the basis of the IgE reactivity being confined to the alpha subunit and to an 18 kDa peptide starting YVVN, the IgE epitopes may be in the region 232-383 of the mature alpha chain and must differ from the non-allergenic alpha' subunit (Ogawa et al. 1995 ). Process, chemical, enzymatic:The storage proteins are thermostable. Temperatures in excess of 75°C are required for denaturation of beta-conglycinin and it shows only partial loss of secondary and tertiary structure (Mills et al. 2001 ). The proteins' ability to aggregate and gel on heating has been widely exploited in food processing but its implications for allergenicity have not been studied. They also show resistance to proteolysis, being able to form large (>100,000 dalton) oligomeric partially cleaved intermediates. Not known. IgE cross-reactivity occurs between legumes, such as peanut and soybean, but it is generally not clinically significant. The 7S globulins Ara h 1 and beta-conglycinin are about 43% identical and may contribute to peanut -soya IgE cross-reactivity although the 11S family is slightly more conserved and may be more important. Beta-conglycinin and Len c 1 are more similar at 55% identity. Allergen properties & biological function:The 7S globulin (beta-conglycinin) proteins are heterotrimeric, of Mr ~ 180,000, made up of N-glycosylated subunits. In soya these are the 50 kDa beta subunit and the 63 kDa alpha/alpha' subunits (after removal of propeptides). The IgE-reactivity appears to be confined to the alpha subunit N-terminal insert. Allergen purification:Defatted soy flour was extracted with water (1:5, w/v) by stirring for 1h at 20C. After centrifugation (10,000xg, 20 min, 20°C) and the supernatant retained. After incubation at 2°C overnight, the cold-insoluble fraction (CIF) was removed by centrifugation at 10,000xg for 30 min, 20°C. The pH of the supernatant was adjusted to pH 5.4 with 0.1M HCl and following centrifugation at 10,000xg for 20 min at 20°C, the 7S globulin precipitated by adjusting the pH to 4.8 with 1M HCl. Following dialysis against 50mM Tris-HCl, pH 7.8, containing 0.2M NaCl the crude 7S globulin was further purified by gel filtration on Sephacryl S300 (2.6x100cm column) using a flow rate of 0.4 ml/min, to remove aggregates (after Than and Shibasaki, 1976). A complex of the alpha' and alpha subunits of beta-conglycinin and the allergen Gly m Bd 30K was identified by Samoto et al. (1996) . A genetically mutated soybean cultivar lacking the alpha' and alpha subunits allowed easier removal of Gly m Bd 30K from defatted soy milk (Samoto et al. 1996) . Mills, E.N.C., Huang, L., Noel, T.R., Gunning, A. P. Morris, V.J. Formation of thermally-induced aggregates of the soya globulin beta-conglycinin. Major proteins of soybean seeds. A straightforward fractionation and their characterization. Beardslee, T.A., Zeece, M.G., Sarath, G., Markwell, J.P.
Maruyama N, Adachi M, Takahashi K, Yagasaki K, Kohno M, Takenaka Y, Okuda E, Nakagawa S, Mikami B, Utsumi S.
Samoto M, Miyazaki C, Akasaka T, Mori H, Kawamura Y. Specific binding of allergenic soybean protein Gly m Bd 30K with alpha'- and alpha-subunits of conglycinin in soy milk. Samoto M, Takahashi K, Fukuda Y, Nakamura S, Kawamura Y. Substantially complete removal of the 34kDa allergenic soybean protein, Gly m Bd 30 K, from soy milk of a mutant lacking the alpha- and alpha'-subunits of conglycinin. Allergen epitopes:Epitope mapping with recombinant profilin indicated that only the full-length rGly m 3 was able to bind with IgE antibodies, whereas the 3 soybean profilin fragments did not show significant binding reactivity. It was concluded that IgE binding to rGly m 3 depends on the integrity of a conformational structure, which was not present in the overlapping profilin fragments. Recombinant Gly m 3 cross-reacted with IgE directed to birch pollen profilin (Bet v 2), and the IgE binding to Bet v 2 could be inhibited by rGly m 3. The sequence of peanut Ara h 5 is 83% identical. Allergen properties & biological function:Soybean profilin is thought to be an actin-binding protein. Allergen purification:Rihs et al. (1999)  expressed recombinant Gly m 3 as a maltose binding protein (MBP) fusion protein in E. coli and purified the fusion protein by affinity chromatography on amylose. The rGly m 3 was cleaved from MBP by incubation of affinity-purified fusion protein with proteinase Factor Xa (MobiTech, Goettingen, Germany). Process, chemical, enzymatic:Mittag et al. (2004)  reported that in highly fermented soy foods (soy sauce and miso) and in roasted soybeans, no Gly m 4 could be detected. The Gly m 4 content of soybeans was reduced after 30 minutes of cooking, and after 4 hours of cooking, no Gly m 4 was detectable. Nature of main cross-reacting proteins:Gly m 4 cross-reacts with Bet v 1 and the main route of sensitisation to Gly m 4 is believed to be birch pollen inhalation. Allergen purification:Recombinant SAM22 was produced in E. coli and purified from the supernatant by means of chromatofocusing with an ÄKTA- FPLC system (Amersham Biosciences, Freiburg, Germany) by using a Mono P HR 5/5 column. The protein was judged better than 98% pure from silver-stained SDS-PAGE gels (Kleine-Tebbe et al. 2002) . Other biochemical information:Mittag et al. (2004)  reported that the mean content of extractable and immune-reactive Gly m 4 was 256 ± 30 ppm over 10 soybean varieties. Unripe green soybeans contained approximately 8 ppm, ripe fresh soybeans contained 96 ppm, and ripe soybeans after 3 years of storage contained 224 ppm. On the basis of total protein, there was no difference between freshly harvested or stored ripe soybeans, but their Gly m 4 content on the basis of total protein amount was 6 times higher than that in unripe soybeans. Crowell DN, John ME, Russell D, Amasino RM. Characterization of a stress-induced, developmentally regulated gene family from soybean. IgE antibodies in soya allergic individuals recognise N-linked glycans at Asn20 (Hiemori et al 2000 ). Xiang et al. (2004)  report that a dominant linear C-terminal IgE binding epitope resides between residues S256 and A270. Alanine scanning of this dominant epitope indicated that five amino acids, Y260, D261, D262, K264 and D266, contribute most towards IgE-binding. Process, chemical, enzymatic:Gly m Bd 28k is a glycoprotein with glycan moieties, which are supposed to be the Man(3)GlcNAc(2) backbone with the beta1-->2 xylose and alpha1-->3 fucose branches. Nature of main cross-reacting proteins:The sequence of Bd 28K is only very distantly related to other known vicilin allergens and cross-reactivity would not be expected. The closest relatives in food plants have been reported from pumpkin (56% identity) and carrot (45% identity). Allergen properties & biological function:Gly m Bd 28K is a vicilin and like others may act as a seed storage protein. Allergen purification:Gly m Bd 28K was purified from defatted soybean flakes by five purification steps, including immunoaffinity chromatography with the mAb as a ligand. The purified allergen was found to be a glycoprotein with a molecular mass of 26 kDa. During the purification process the allergen was converted to more acidic proteins with the same molecular mass, suggesting that the allergen is unstable (Tsuji et al., 1997 ). Cloning of cDNA encoding a soybean allergen, Gly m Bd 28K. Characterization of Gly m Bd 28K, an allergenic glycoprotein from soybean. Quantitative analysis of Gly m Bd 28K in soybean products by a sandwich enzyme-linked immunosorbent assay. Analysis of Gly m Bd 28 K, major soybean allergen, in several leading varieties in Japan. Occurrence of IgE antibody-recognizing N-linked glycan moiety of a soybean allergen, Gly m Bd 28K. Purification and characterization of soybean allergen Gly m Bd 28K. Xiang P, Haas EJ, Zeece MG, Markwell J, Sarath G.
C-Terminal 23 kDa polypeptide of soybean Gly m Bd 28 K is a potential allergen. Oligomeric Masses:>300,000 kDa as complex with the alpha' and alpha subunits of beta-conglycinin (Samoto et al. 1996) . Allergen epitopes:IgE reactive linear epitopes have been reported from soy Gly m Bd 30K (Helm et al., 1998 ) and the five immunodominant epitopes were identified as follows: 3-12 FLVLLLFSLL, 100-110 PQEFSKKTYQ, 229-238 RCKANKIQDK, 299-308 INHFVLLVGY, and 331-340 GYIWIQRNTG. These were analysed further by mutation (Helm et al. 2000 ), showing that IgE from individual sera reacted to different aminoacids. The epitopes 3-12 and 110-119 are not present in the mature protein. Process, chemical, enzymatic:Gly m Bd 30k exists as an oligomer of molecular weight >300,000 with the alpha' and alpha subunits of beta-conglycinin (Samoto et al. 1996)  and has a pI of 4.5. Two potential glycosylation sites are seen in the sequence of the precursor at residues 70 (prodomain) and 292 (170 in mature P34) and may account for higher molecular masses estimated from SDS-PAGE gels compared to predictions from the sequences. Bando et al. (1996)  have shown that residue 170 in P34 is glycosylated. Nature of main cross-reacting proteins:Distantly homologous to members of the cysteine proteinase family, actinidin from kiwi fruit, papain from papaya and bromelain from pineapple, but no IgE cross-reactivity has been reported. Allergen properties & biological function:Gly m Bd 30K is also known as the 34 kDa oil-body-associated protein or as P34. The P34 protein was initially falsely identified as oil body associated but was shown to be localized in protein storage vacoles (Kalinski et al., 1992 ). P34 was shown to accumulate during seed maturation although traces of the 46 kDa precursor were present even in 300 mg. mature seeds. Gly m Bd 30K is homologous to the thiol proteases of the papain family but is probably not a protease because the active site cysteine is mutated to glycine. P34 may function as part of the PR system of soy as it, but not its precursor, binds syringolide elicitors (Ji et al., 1998 ). Allergen purification:Crude soya 7S was precipitated with 40% ammonium sulphate and dissolved in 35mM potassium phosphate pH 7.6 containing 0.4M NaCl and chromatographed on Sepharose 6B, and the 30 kDa allergen fractions collected and pooled. These fractions were then applied to a Con A sepharose column and the allergen eluted with 20mM alpha-methylmannose. The protein was concentrated by precipitation with 40% ammonium sulphate, disolved in a minimum quantity of 0.1M sodium phosphate pH 7.6 and dialysed to give the oligomeric allergen. To make monomers, the protein was disolved in 4% (w/v) SDS and 10mM mercaptoethanol, heated to 98C for 10 min and applied to Sephacryl S200 equilibrated in 0.1M sodium phosphate pH7.6 containing 4% (w/v) SDS and 10mM mercaptoethanol (Ogawa et al 1993 ). Gly m Bd 30k has also been called Gly m I by Hessing et al. (1996) . However, Gonzalez et al. (1992)  used Gly m 1A and Gly m 1B to refer to two different small aeroallergens from soybean. Herman et al. (2003)  have engineered the removal of Gly m Bd 30k from soybeans. Usui et al. (2004)  have made a protein-chitosan conjugate by the Maillard reaction which showed no allergenicity by immunoblotting. Comparison of human IgE-binding soya bean allergenic protein Gly m I with the antigenicity profiles of calf anti-soya protein sera. Bando N, Tsuji H, Yamanishi R, Nio N, Ogawa T.
Kalinski A, Weisemann JM, Matthews BF, Herman EM. Molecular cloning of a protein associated with soybean seed oil bodies that is similar to thiol proteases of the papain family. Kalinski A, Melroy DL, Dwivedi RS, Herman EM. Cellular and molecular characterization of a major soybean allergen. Helm RM, Cockrell G, Connaughton C, West CM, Herman E, Sampson HA, Bannon GA, Burks AW. Mutational analysis of the IgE-binding epitopes of P34/Gly m Bd 30K. Usui M, Tamura H, Nakamura K, Ogawa T, Muroshita M, Azakami H, Kanuma S, Kato A. Enhanced bactericidal action and masking of allergen structure of soy protein by attachment of chitosan through maillard-type protein-polysaccharide conjugation. Herman EM, Helm RM, Jung R, Kinney AJ. Genetic modification removes an immunodominant allergen from soybean. IgE epitopes in the 11S globulin allergens of soya (glycinin) are located in the the acidic subunits of this protein. Beardslee et al. (2000)  identified epitope A (GGSI LSGFTLEFLEHAFSV, 217-235) and epitope B (GAIVTVKG GLSVI, 253-265) of P04776 as important. Xiang et al. (2002)  defined a shorter epitope from glycinin G2A (P04405) of 219-233 as dominant. They showed that residues E224, F225, L226, F230, G231 and V232 were most important for IgE binding. Only residue G231 is not conserved in Ara h 3 and this is adjacent to an epitope identified by Rabjohn et al. (1999) . Another peptide, residues 247-261, shows weak IgE binding. There is also evidence that the G2 form of the glycinin basic subunit contains IgE epitopes. Helm et al. (2000) ,  in two articles first characterized the 21 kDa soya allergen as the basic subunit of glycinin G2 and then identified epitopes over the complete glycinin G2 gene sequence. 11 epitopes were found in 6 regions of 1-23, 57-111, 169-215, 249-271, 329-383 and 449-471. Region 1 was soya specific but the other regions bound IgE from peanut allergic sera. The 3-D structure of glycinin shows that these epitopes are generally more buried and hydrophobic than those of Xiang et al. (2002)  and imply that the IgE binds to a denatured protein. Process, chemical, enzymatic:Glycinin forms stable intermediates of Mr ~ 280,000 on trypsinolysis known as glycinin T. These retain the quaternary structure of glycinin and result from clipping of the acidic subunits to form a 13,000 and a 16,000 molecular weight fragments, the basic subunits remaining intact, similar intermediates being found following chymotrypsinolysis. It is thermostable, requiring temperatures in excess of 95°C for denaturation and has the propensity to form large aggregates on heating which still retain a large degree of the native secondary structure (Mills et al 2003 ). In vivo digestion has been investigated in calves (Lalles et al. 1999 ) and in rats (Perez et al. 1999 ). Glycinin (but not beta-conglycinin) immunoreactivity could be identified after 10 hours in calf ileum. In rat both glycinin derived peptides and the intact basic subunit could be identified after 3 hours. Nature of main cross-reacting proteins:Cross-reactions may be seen with 11S globulin allergens from other plant food species such as peanut and lupin. This results from homologous IgE epitopes although peanut allergic individuals can usually tolerate soya. Xiang P, Beardslee TA, Zeece MG, Markwell J, Sarath G.
Identification and analysis of a conserved immunoglobulin E-binding epitope in soybean G1a and G2a and peanut Ara h 3 glycinins. Adachi M, Kanamori J, Masuda T, Yagasaki K, Kitamura K, Mikami B, Utsumi S.
Crystal structure of soybean 11S globulin: glycinin A3B4 homohexamer. Thermally induced structural changes in glycinin, the 11S globulin of soya bean (Glycine max)--an in situ spectroscopic study. Helm RM, Cockrell G, Connaughton C, Sampson HA, Bannon GA, Beilinson V, Nielsen NC, Burks AW. A soybean G2 glycinin allergen. 2. Epitope mapping and three-dimensional modeling. A soybean G2 glycinin allergen. 1. Identification and characterization. Purification of the 11S component of soybean protein. Adachi M, Takenaka Y, Gidamis AB, Mikami B, Utsumi S.
Crystal structure of soybean proglycinin A1aB1b homotrimer. Lalles, J.P.; Tukur, H.M.; Salgado, P.; Mills, E.N.C. ; Morgan, M.R.A. ; Quillien, L.; Levieux, D.; Toullec, R.
Immunochemical studies on gastric and intestinal digestion of soybean glycinin and beta-conglycinin in vivo. Perez, M. D.; Mills, E. N. C.; Lambert, N.; Johnson, I. T.; Morgan, M. R. A. The use of anti-soya globulin antisera in investigating soya digestion in vivo. Process, chemical, enzymatic:Trypsin inhibitors are usually destroyed by thermal treatments which form the basis for destroying the anti-nutritional effects of the protease inhibitors. They are resistant to digestion. There is little loss of protein with simulated gastric fluid for 60 minutes and the protein refolds after heating to 90°C (Roychaudhuri et al. 2004 ). However, reduction leads to denaturation and rapid proteolysis. Nature of main cross-reacting proteins:None identified. Allergen properties & biological function:The allergen corresponds to the soya bean trypsin inhibitors A and C. These inhibitors are plant protective proteins and may be involved in inhibiting microbial and fungal proteases. Allergen purification:The inhibitors can be extracted in 1M NaCl containing 8M urea for 4h at 4°C. The extracts were loaded onto a Superdex 75 column to isolate the 20 kDalton protein (after Burks et al 1994 ). Trypsin inhibitor has been detected in soy lecithin (Gu et al. 2001 ). Roychaudhuri R, Sarath G, Zeece M, Markwell J. Stability of the allergenic soybean Kunitz trypsin inhibitor.